I love all types of birds, but I think peacocks are absolutely stunning! Whenever I see them I sit and stare in amazement at their bright, vibrant colors and beauty. We typically always craft male peacocks because of their famous colors and patterns, but I love the simplicity and beauty of the female peacock as well. 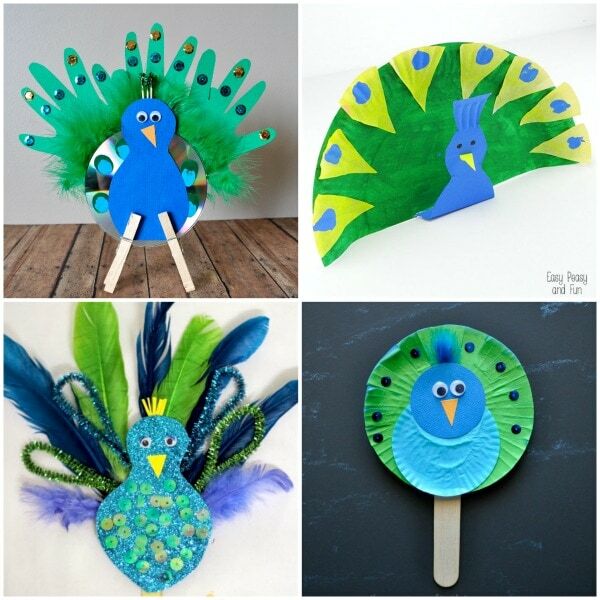 We love to visit the zoo and a local bird aviary every summer and both have lots of peacocks, so summer is the perfect time to sit down and do some peacock crafting. Here are 10 Pretty Peacock Crafts for Kids that your kids will love making this summer! 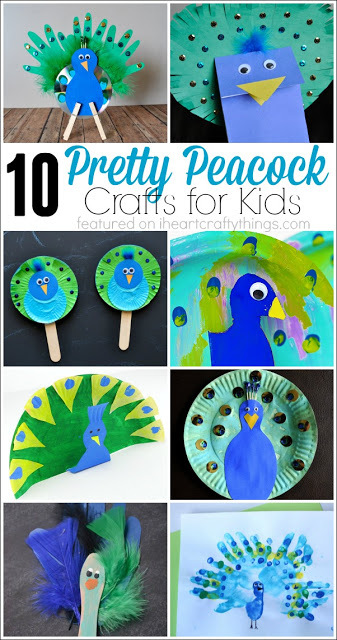 There are so many fun materials you can use to create a Peacock craft. I love using sequins to give the peacock feather patterns an extra pop of color, but below you will find a variety of different ideas using paper plates, scoop sticks, paper bags, cupcake liners and even a CD. I hope you get as excited as I do to get crafting some pretty peacocks! Click on the links to be taken to the original post and full tutorial for each of these pretty peacock crafts. 1. Layering brightly colored sequins on this Paper Plate Peacock makes it really shine! 2. 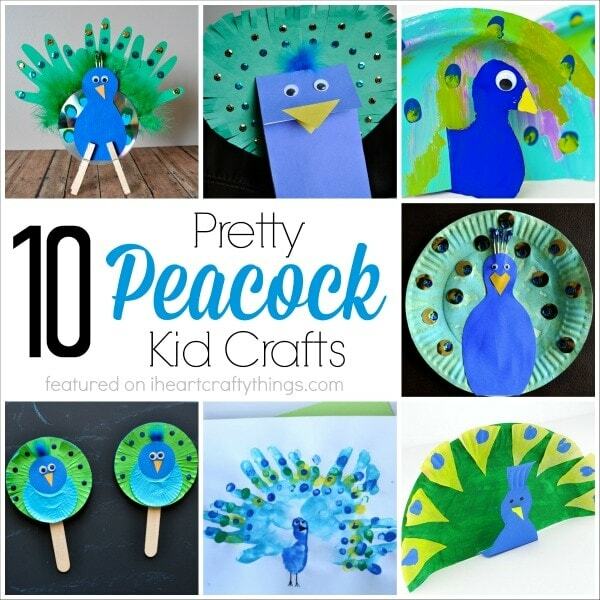 Use scoop sticks and colorful feathers to make this cute Peacock Kid Craft. 3. 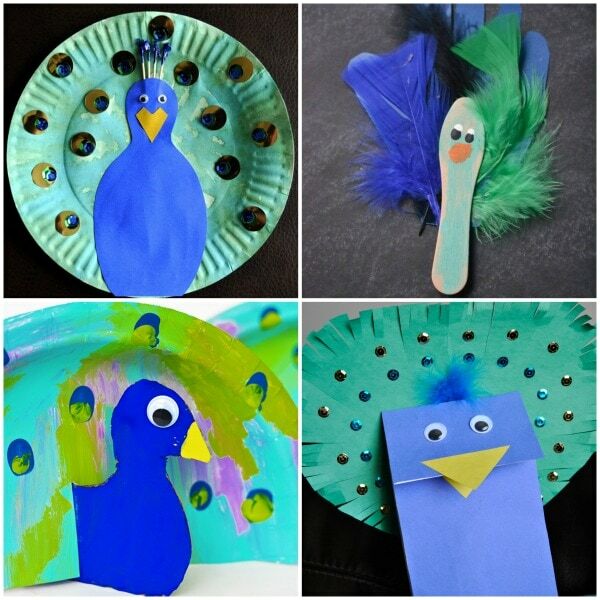 Here is another fun and colorful way to make a Paper Plate Peacock Craft. 4. Kids will have hours of fun pretend play with this Paper Bag Peacock Puppet. 5. Hands and paint are all you need to create this adorable Handprint Peacock Craft. 6. 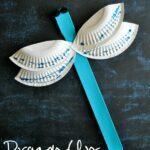 Recycle an old CD to make this stunning Peacock Craft for Kids. 7. 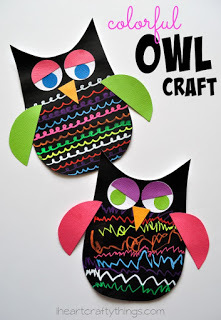 I love how Easy Peasy Fun creates the entire Peacock Craft out of one paper plate. The addition of the cupcake liner feathers are so creative too! 8. Glitter paper and pipe cleaners make such a sparkly and beautiful Peacock Craft. 9. 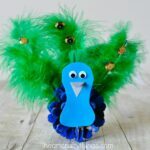 Use cupcake liners to create an adorable Peacock Stick Puppet for Kids. 10. 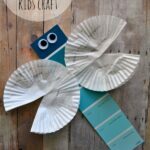 Coffee filters make the perfect base for a cute Peacock Kids Craft.